Thank you for joining us for the Alcohol Challenge and we hope you will all join us again this week too. For Wendy’s final make this month she was inspired to create a keepsake style vignette. Reminiscing about the love shared between her grandparents. 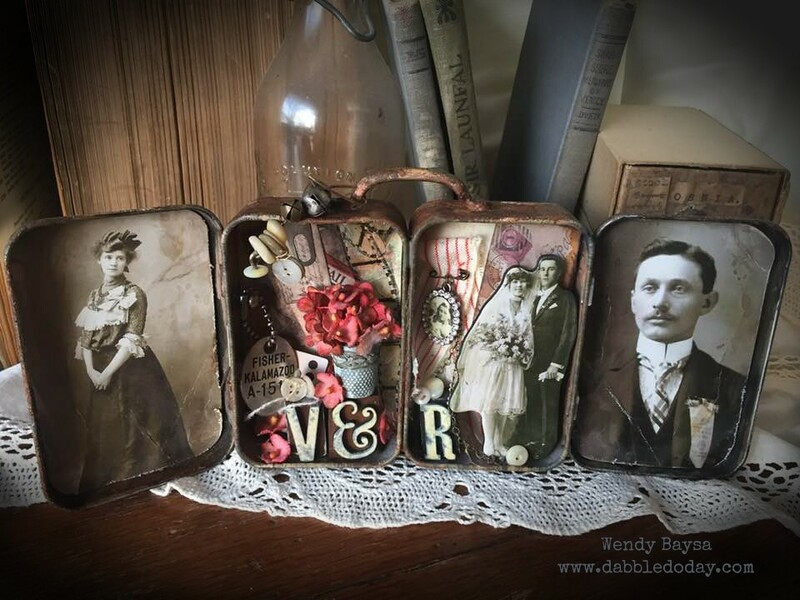 She has used Trinket Tins, New Found Relatives, Baseboard Dolls, Mini Pins, Thimble, Film Strip Ribbon, Jeweled Charms, and Paper Artsy Rusting Powder to age the tins. 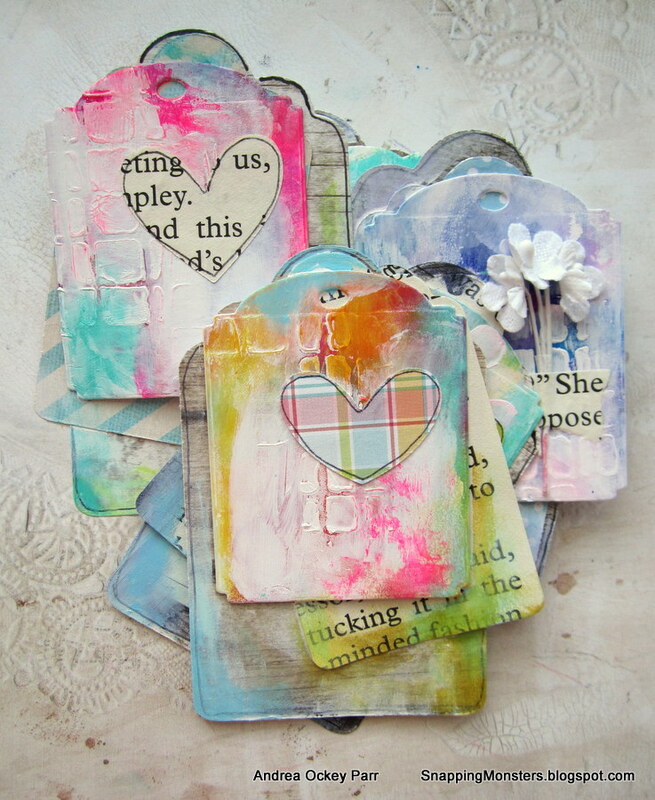 Andrea used some fabulous dies to make these lovely layered heart tags. The tag shapes came from SugarPea Designs’ With Love die and Bo Bunny’s Terrific Tag dies. The hearts are from My Favorite Things’ Lots of Hearts dies. 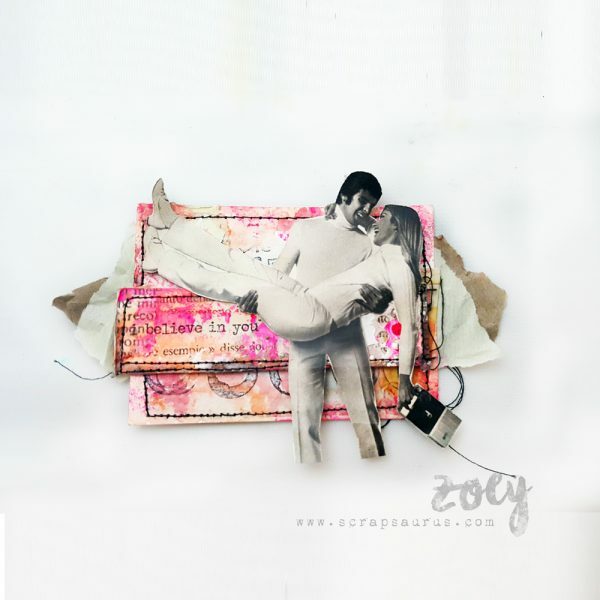 Anna-Karin made a vintage inspired Valentine’s Day card. 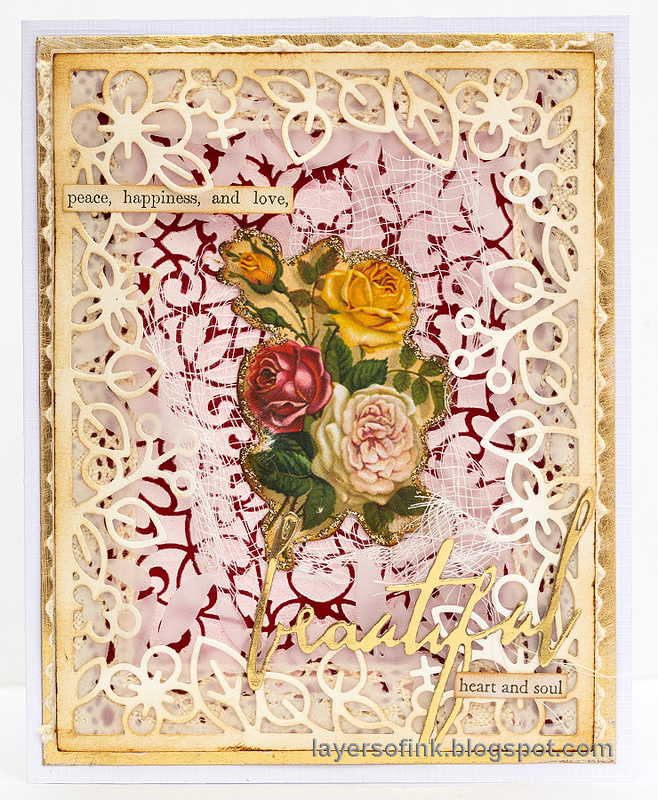 The background was done with Tim Holtz’s Ornate Stencil, and a frame was created using Simon Says Stamp Outline Floral Frame and Leafy Frame. Barbara has created a panel to celebrate love we all need. 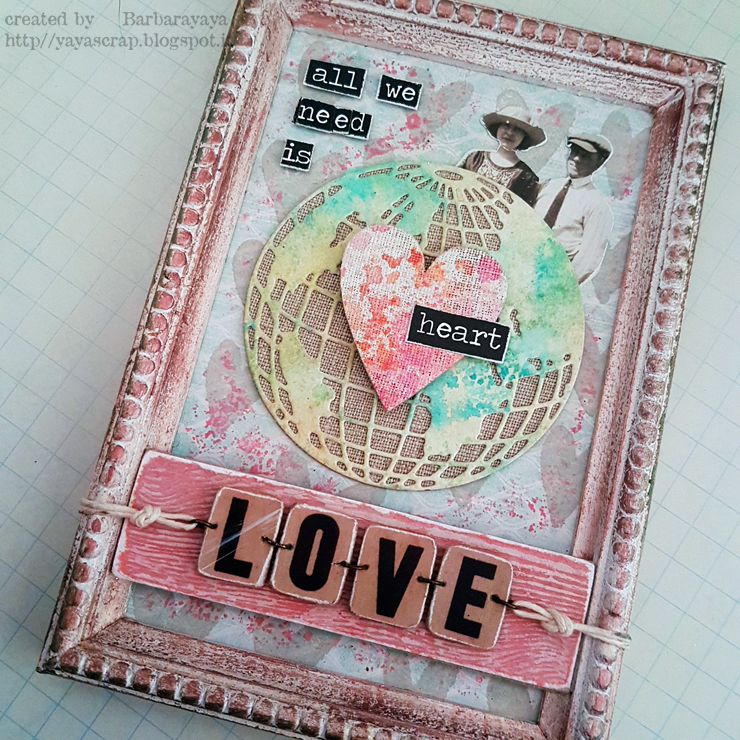 She used Tim Holtz Idea-ology Framed panel, Tim Holtz Sizzix Globe Mini, Tim Holtz Sizzix Heartfelt, Idea-ology Paper Dolls and Tim Holtz Stampers Anonymous Watercolor set. Cheiron shows that love is in the air even for robots! 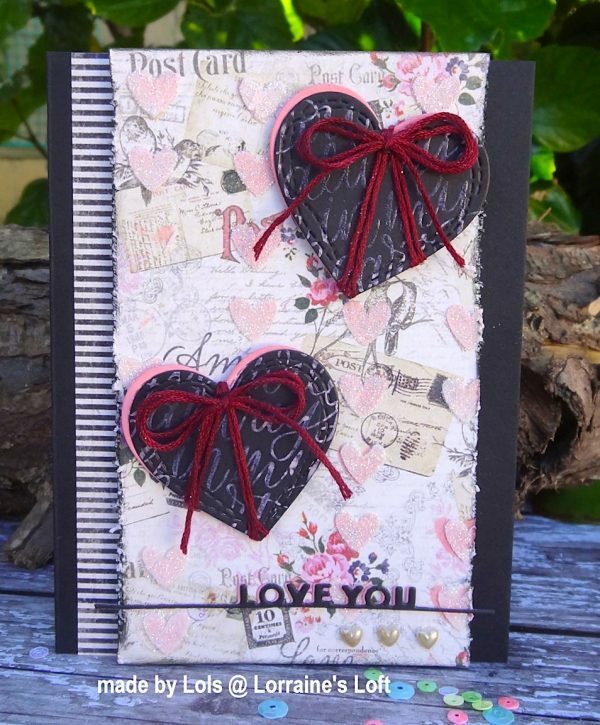 She used Tim Holtz Sizzix Robotic, Faceted Heart, Stacked Postage and Gearhead dies to create her card. Emma created a Vignette Box telling the story of one love who has found the key to someone’s heart. 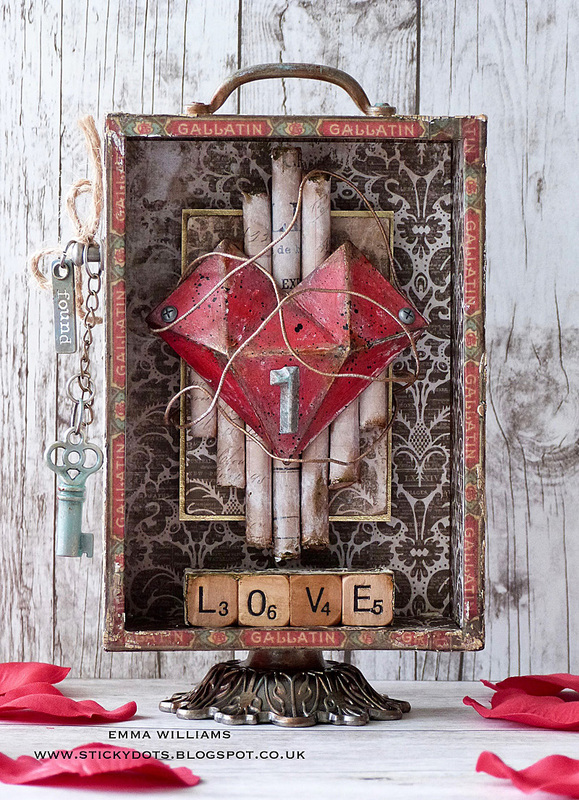 She used the stunning new Faceted Heart Die by Tim Holtz as her focal point and wrapped it in wire before placing it on paper rolls made up from offcuts from the Collage Paper Stash. 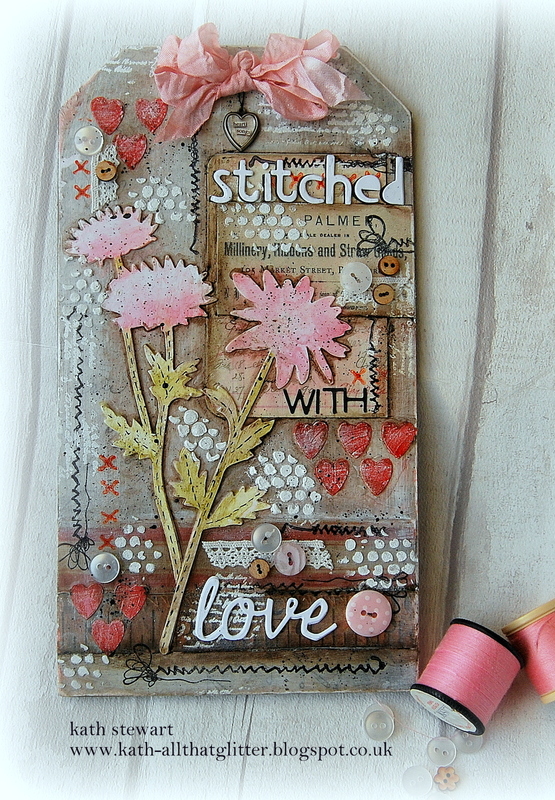 Kath decorated a Small Etcetera Tag with Tim Holtz/Sizzix Large Stems as the main feature and used Tim Holtz/Stampers Anonymous Stitches, Media Marks 2, Mini Layering Stencils and Idea-ology Collector Layers to add interest to the background. 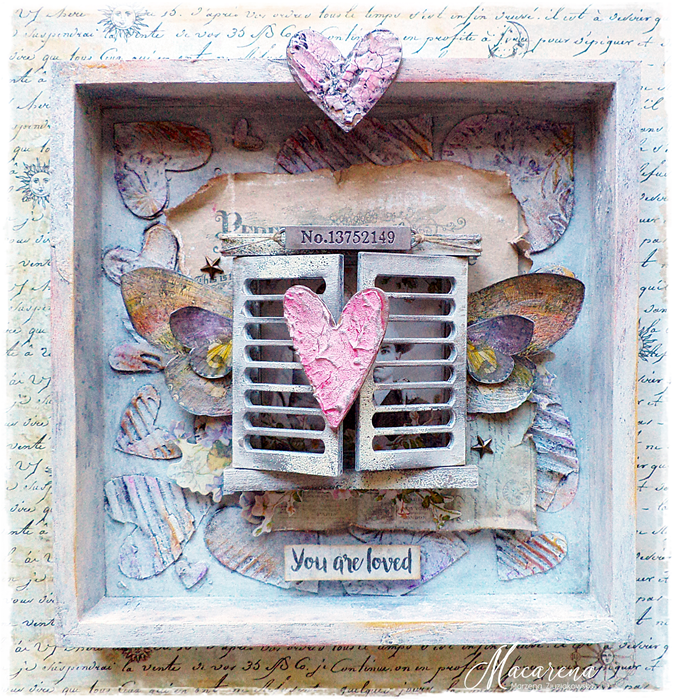 Macarena made a romantic shadow box using lots of hearts from Tim Holtz Sizzix Heartfelt Bigz die and a beautiful Prima Marketing Venetian Shutters. Maura created a mixed media tag to show robots have hearts too. 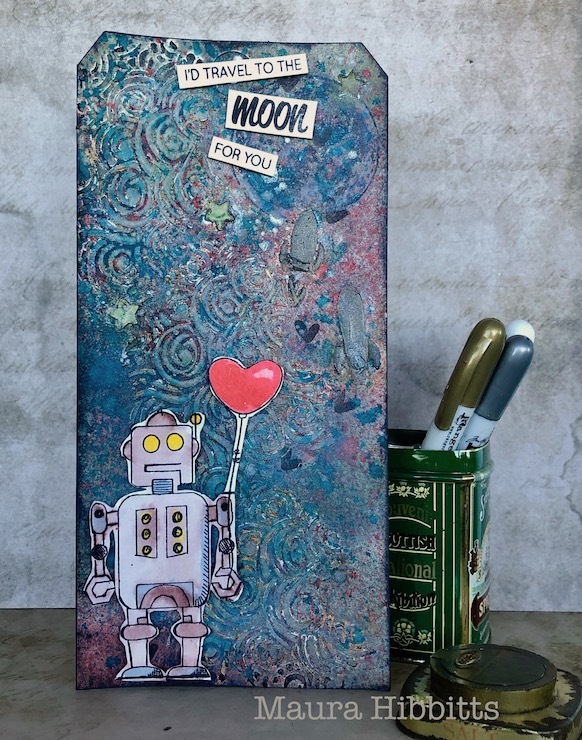 She used the Tim Holtz Robots Blueprint stamps, Altenew’s To the Moon stamp set, and the Brutus Monroe Blast Off stencil. 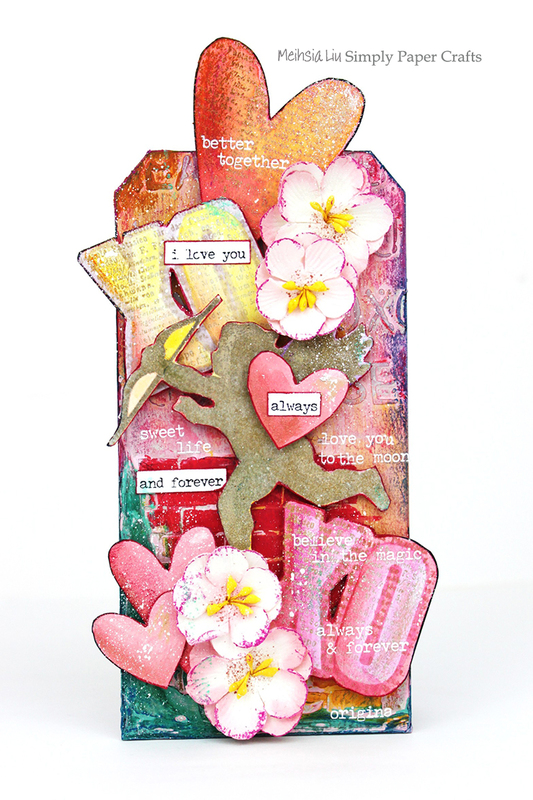 Meihsia was inspired to create a mixed media tag using Tim Holtz Cling Rubber Stamps Valentine Silhouettes and colored it with Ranger Distress Crayon Set 1. 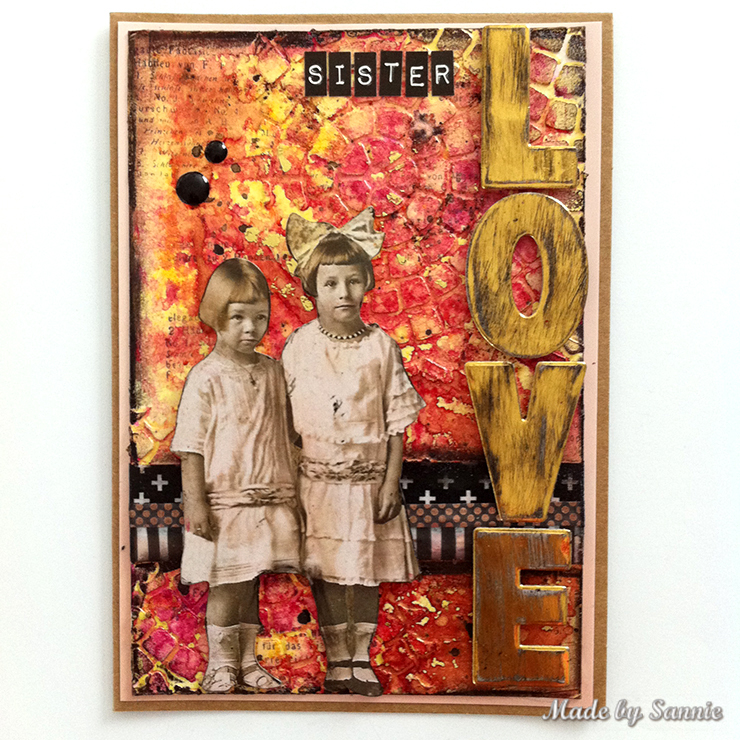 Sandra made a fun Sister Love card using Opal Magic Paint Yellow – Pink, and to adde some texture she used Texture Paste with the Mosaic stencil, and added more color with Nuvo Shimmer Powders. Zoey used her favorite stamp from Simon Says Stamp “Make your Mark” to add some texture to this ATC , she also used Distress Paint in Abandoned Coral and Picked Raspberry to add color. Thank you very much for a new challenge and the DT rocks! Have a blessed day! I absolutely “love” these vintage looks! They all are SO inspiring. Can’t wait to try these techniques. Thank you to all the designers for sharing these fabulous pieces! Always look forward to Mondays!! So inspirational, as always! Love to bits the altered tins! The samples are stunning and truly inspiring. I am in awe of Emma’s box!!! WOW!!!! Fabulous creations from the team, so much love to share. I’m looking forward to checking them all out up close.